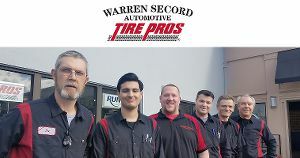 Warren Secord Automotive - automotive service professionals you can trust! Our ASE certified technicians use the latest tools and equipment when servicing your vehicle. Helping drivers with quality auto repair in Kent, WA area since 1965. Warren Secord Automotive repairs foreign and domestic cars, trucks and SUVs. 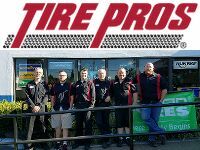 As a Tire dealer we specialize in tire sales and tire repair. We take pride in offering our customers quality auto service and auto repair at a fair price. "I feel like you have my best interests at the forefront. You patiently and actively listen to what I say. You also help me prioritze upcoming repairs so I can budget and stay on the road. I appreciate all I have learned about cars. Thank you to ALL of the staff-up front and behind the scenes for your care and dedication." "I have used these guys for years. They are the best. I still drive to them (or have it towed) after moving a little further away. Just could not find any nearby mechanics that provide the level of service that these guys do." Check out all the benefits you will enjoy at Warren Secord Automotive. "I was in the middle of a personal nightmare when I brought my car to you, and had begun to feel I deserved the mistreatment I'd grown used to. Each of you looked at and treated me like a valued, valuable human, and it meant so, so much. I'm so happy I randomly chose you that day." Still not convinced we are a great place to get your vehicle repaired or serviced? Want to know more about us? There is nothing more convincing than the unbiased, honest opinions of our customers. Check out our public reputation on a large number of social media websites (see Customer Reviews section on right side). And when you become one of our highly pleased customers post a review on any website you like (we prefer Google reviews). Modern vehicles are very reliable but they do require routine servicing if you want to avoid expensive break down repair work. Regular vehicle maintenance is extremely important in getting maximum life from your vehicle. Contact us for straight forward advice on saving money by servicing your vehicle regularly.